Welcome to Wow Us Wednesdays! I hope your week is going well. I'm still visiting my mom in rehab as her shoulder continues to heal and I had to take Miss Bailey to the vet again for more stomach issues. She'll be fine after a few days of antibiotics and probiotics. I believe she is having issues due to stress from me being gone more than usual....poor baby. We're going to start a product to hopefully help with her separation anxiety. I can't believe next Monday is Memorial Day already. I hope y'all have a fun long weekend planned. Let's look at some fun summer features from last week and get this party started. 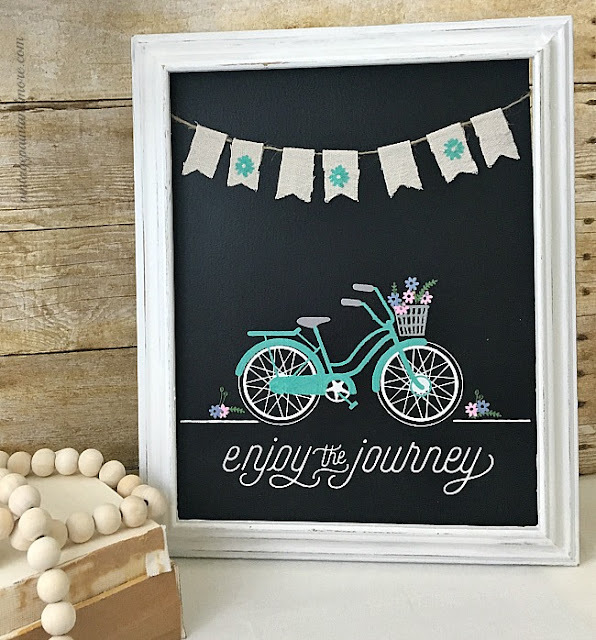 Vintage Paint and More shares a full tutorial to make your own chalkboard art. 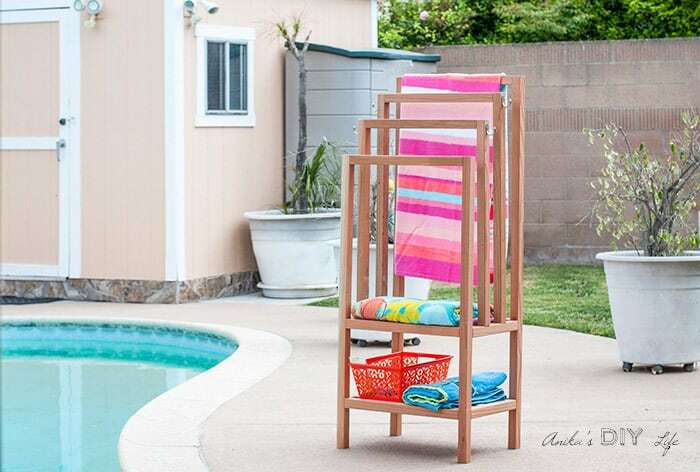 It's pool season and you can find out how to build this towel rack by Anika's DIY Life. Here's a fun red, white and blue dessert for the weekend festivities by Celebrating Everyday Life. What great features Kim. Happy to able to party this week. Sending healing thoughts to your mom and Bailey! Thanks for hosting each week, Kim! Great features....hope your mom recovers quickly and Bailey is feeling better too...poor Bailey misses her mommy! Thanks for hosting and have a great weekend and Memorial Day weekend! Hope your Mom is better soon and hope sweet little Miss bailey will be OK. Thanks for hosting. That bicycle chalk art is so adorable! Great features! Thanks for hosting, Kim! Thank you for hosting, Kim! Haven't joined your party in quite some time, and it's fun to be back. Praying for your mom's continued recovery and for Miss Bailey, too. Thank you for hosting. There are some really good posts this week, but they are always great! oh...poor Miss Bailey. hope you can get her anxiety controlled. got any big plans for the long weekend? Thank you so much for including my chalkboard art among your features this week. Hope your week is awesome. Thanks so much for the party! Have a happy Memorial Day weekend! Thanks so much for hosting Kim! Hope your Mom and Miss Bailey are feeling better. Have a great holiday weekend!